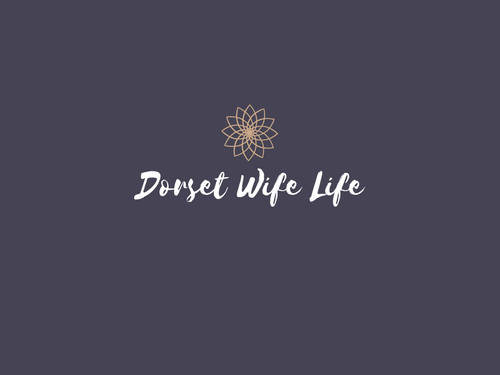 November 12, 2017 November 12, 2017 dorsetwife2 Comments on What I’ve learned about blogging in two weeks…..
What I’ve learned about blogging in two weeks…..
Ok hands up. I am not in anyway yet referring to myself as a blogger. This time two weeks ago I never even had this site and had no idea I would do. Talk about jumping in feet first, totally blindfolded. It turns out, since I actually decided to do some research on blogging and what it involves (after publishing my first post, smart move hey?) that it’s way more than putting words on a screen. Of course I knew this, a little bit. I mean anyone who successfully turns their blog into their career has got to do more than just type at a screen for a few minutes a day/week. But as someone who had careers advice at school before social media even existed (probably the internet *insert dinosaur emoji here*) then the whole concept of people actually making a living and doing this full time is still somewhat of an alien concept to me. I mean, I knew the blogging world was big, that people use it for an income, for hobbies, to share personal journeys and relatable content. But I had NO IDEA just how big it was. Time. Writing blog posts, updating your site, creating ideas for future posts takes a huge amount of time and dedication and knowledge. This is way more than an online diary type thingy. That in order to get your blog noticed (if that’s your sole aim) you have to do A LOT of self promotion. This doesn’t sit well with everyone. Bloggers don’t see other bloggers as competition. Number 3 is probably the most important. I hadn’t used Twitter for ages, like literally barely even opened the app in the last year but as I set up my page account I discovered there is a whole community of bloggers out there who build each other up, support each other and create a network of likeminded souls who offer advice and words of wisdom whenever needed. This in itself, in a world flooded with oversharing on social media, can surely only be a good thing, can it not? So as I went through this week in the usual manner of work, school runs, after school clubs and all that interesting mum life jazz I started thinking what my next blog post would be about. I’m not quite up there with the pros who actually plan these things way ahead and don’t just sit down and start rambling like me so far. With nothing interesting to report (no child leaving home this week) and apart from a new obsession with Peaky Blinders – seriously, how good is this series and why am I always late to the party? I asked myself why am I doing this? I’m no fashion blogger, beauty queen, interiors expert or foodie. I haven’t just had a baby and am sharing my experience of new motherhood. I’m not running a blog as part of a business and there’s a whole internet full of bloggers out there with way more experience and interesting lives. And as someone who has always had a distinct lack of self-confidence why the heck am I putting myself out there for the whole world to read about? Honestly? I haven’t quite figured that one out yet. It’s just something I feel like I have to give a go. Just as in the same way I listened to those who said I could do this they’ll be the ones I turn to and listen to when I’m saying I can’t. And if you can’t trust your family and friends opinions then we’re all a bit screwed really……..
PS. As I was typing this my husband walked in and told me to switch the radio on as they were discussing how blogs have had their day. Great. Bugger off darling husband, I’m blogging………. PPS. Less than two weeks before I added a gratuitous pic of Ryan Gosling. Not bad if I say so myself………. ” there’s a whole internet full of bloggers out there with way more experience and interesting lives. ” As someone who reads hundreds of blogs I beg to differ. “blogs have had their day. ” Sure they have, just like email has had it’s day for the last 10 years. Peaky Blinders – looks good, no time to watch. Am I missing out? And lastly welcome to the blogosphere. It’s not as scary as it sounds…really! It’s just one step at a time and you have made 2 major step already…. no 3! 1. You stopped talking and thinking about blogging and did it. 2. You chose a nice, easily readable template….so many don’t! 3. After 5 posts – you’re still here! Are you awware of how many don’t get past the first post!!! Want To Grow Your Audience? Come Meet New Bloggers Here!